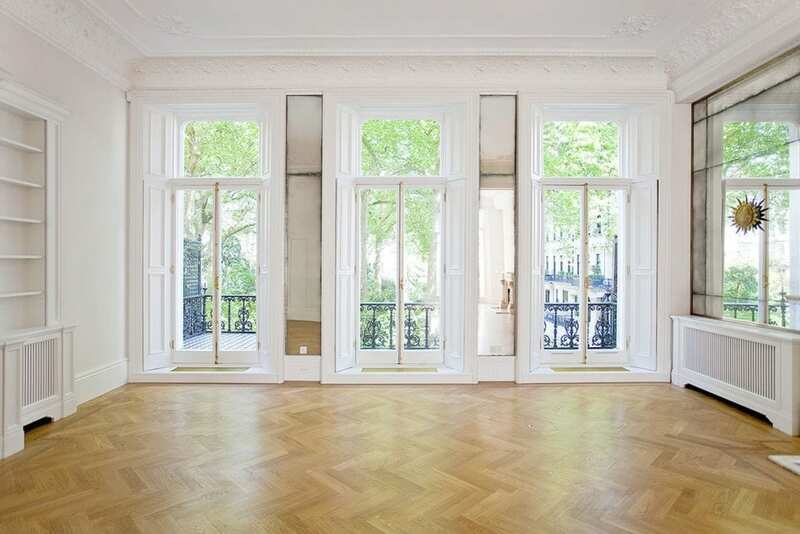 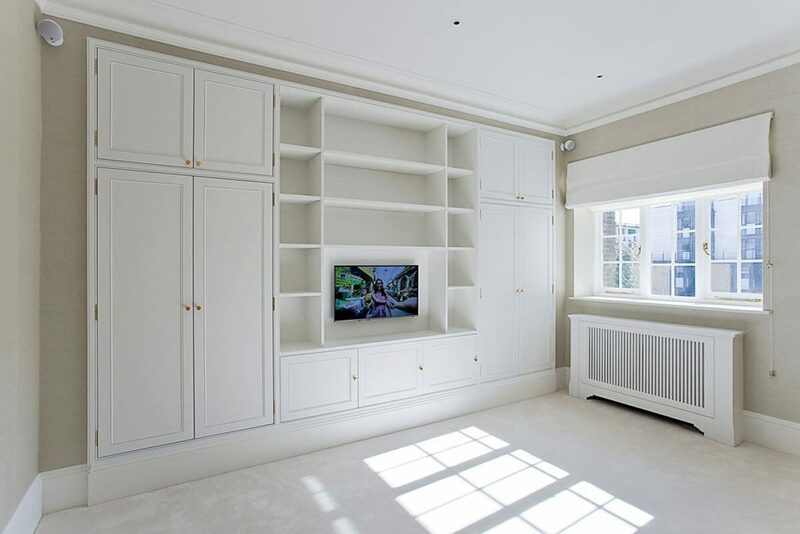 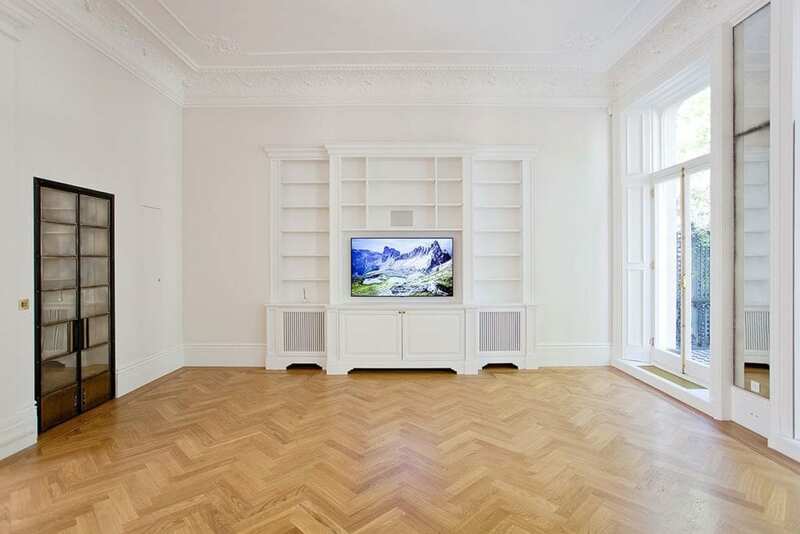 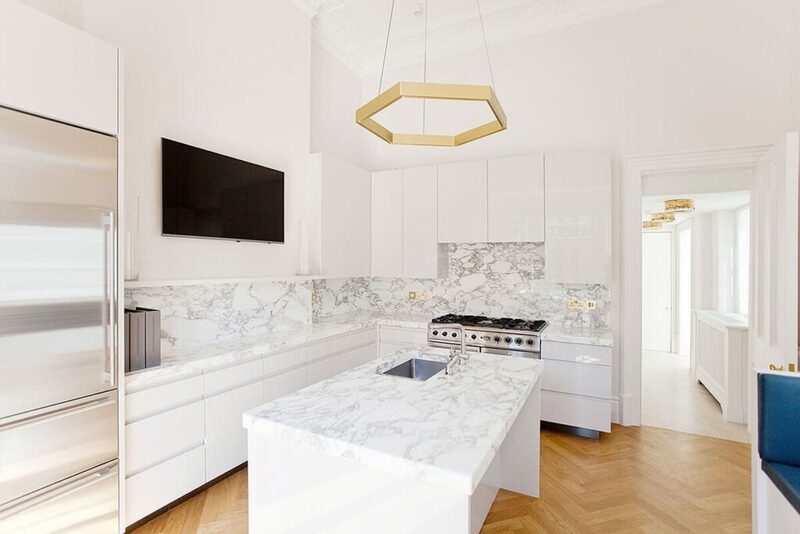 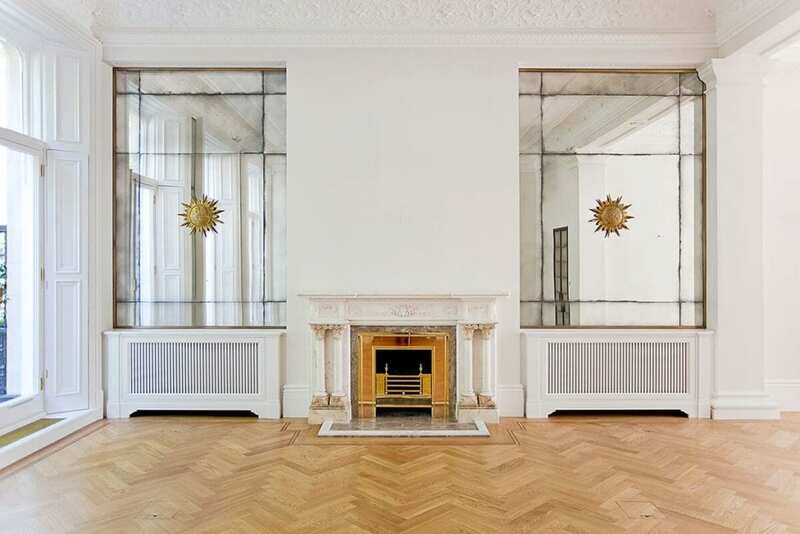 The project involved the complete refurbishment, re-organisation of the internal layout and amalgamation of two flats on the first and second floor of a Grade II listed grand 19th Century terrace building into a 3,000 sq ft family apartment. 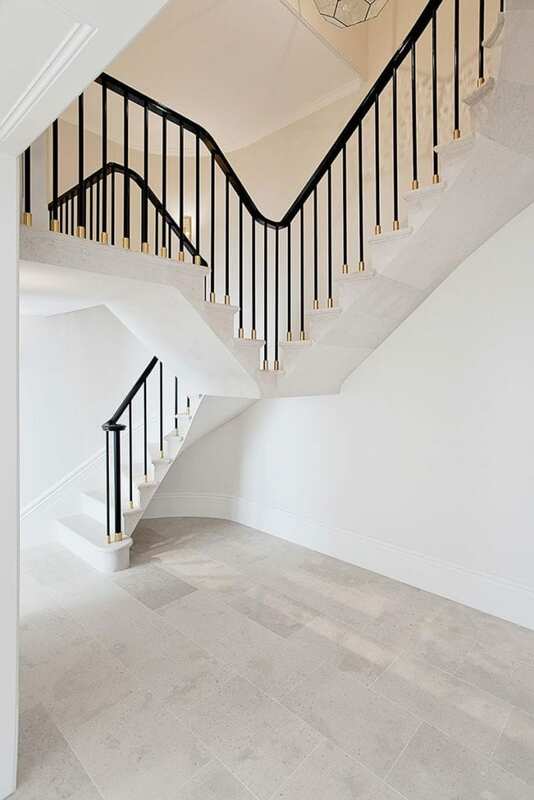 The principal rooms of the apartment which overlook a prestigious London square are connected to the upper floor via a newly created entrance hall that incorporates a cantilevered stone stair in Hopton stone. 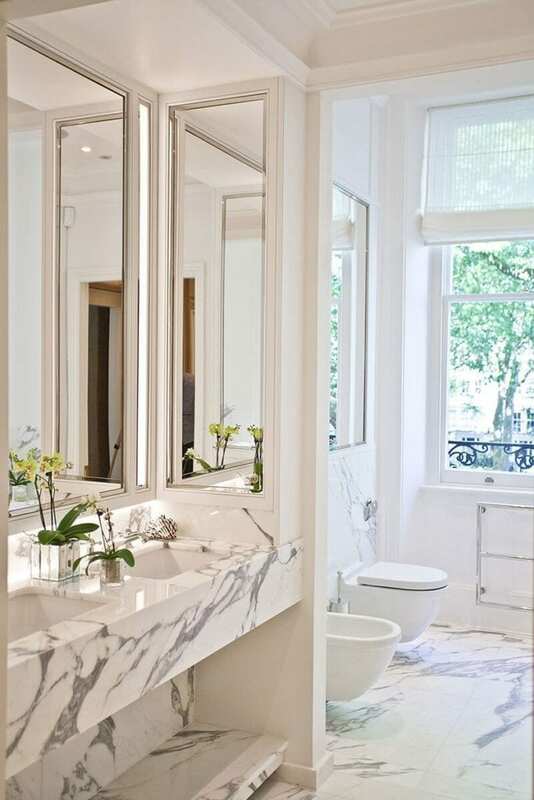 The interiors were created in conjunction with the interior designer Edward Bridges.